The Mk1 CL was a special edition model, launched in August 1980 alongside the Scirocco SL as a run-out model prior to the new Mk2 in 1981. Very little information is to be found about the CL, and it is not know how many of the 2000 of them that were made are still on the road. They were available in Inari silver(L94A) with dark green checkered interior trim or Platinum metallic (L98G) with black trim. White striping to the sides of the car and bumpers, along with a CL logo on the rear quarters differentiated this from other models in the Scirocco line up. 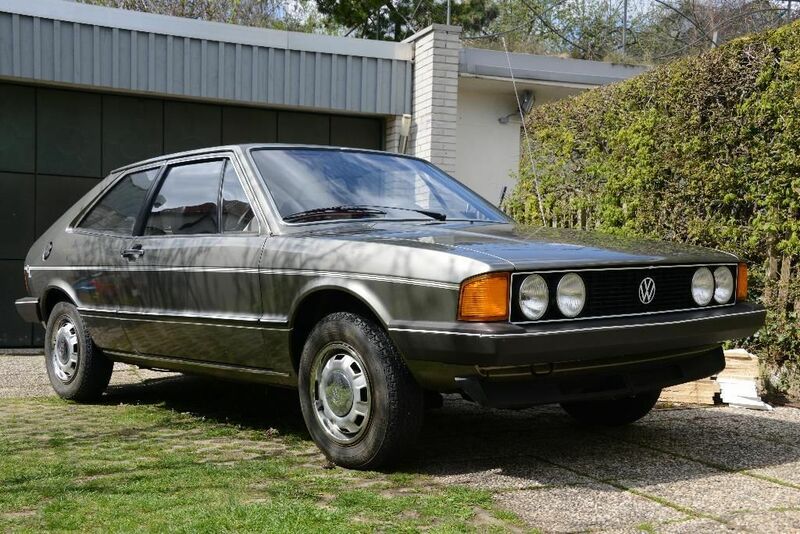 For your 17,285 DM outlay, the CL featured a factory fitted ‘Emden’ radio, large front spoiler, rear wash/wipe, matt black instrument cluster, a sports steering wheel and wider 175/70 13 tyres on steel rims were also part of the package. 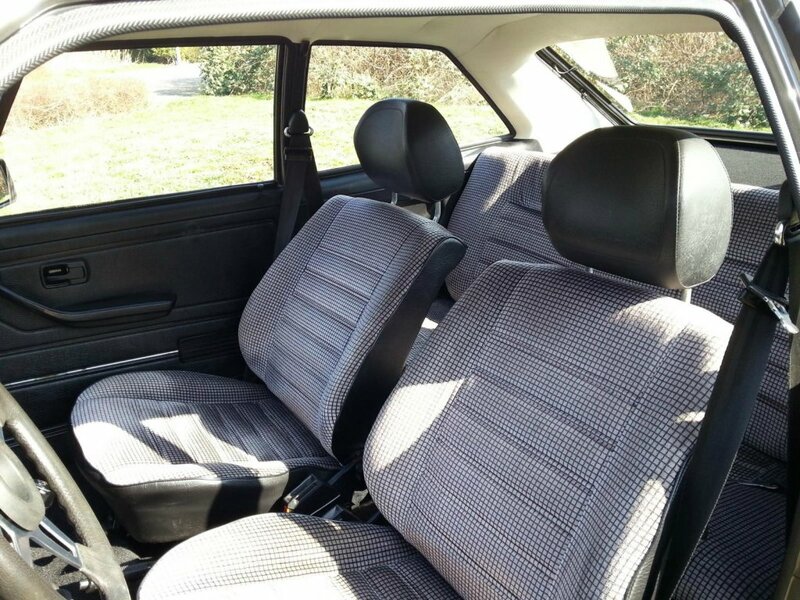 In the two official VW photos of the car that are available, one shows the CL with chromed wheel centre caps and trim rings, the other doesn’t. On the brochure image above, opening quarter light windows (vent wings) appear to be fitted. A Platinum metallic Scirocco CL. Although not clear in the photo, there is a triple pinstripe along the waistline. This continued along the bottom edge of the tailgate with a central CL decal below the lock. Another single pinstripe below the mouldings along with white stripes in the bumpers complete the look. 1.5l 70 bhp engine. 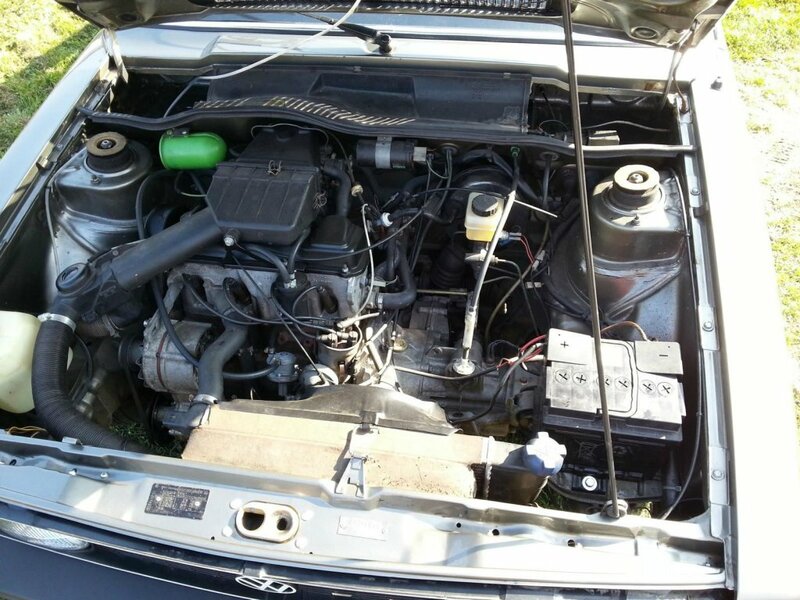 The CL was also available with a 1.6l 85 bhp motor. Grey/black ‘Gitterkaro’ (code WK) check seat trim in combination with Platinum metallic paint. White detailing on the edge of the grill and VW roundel. 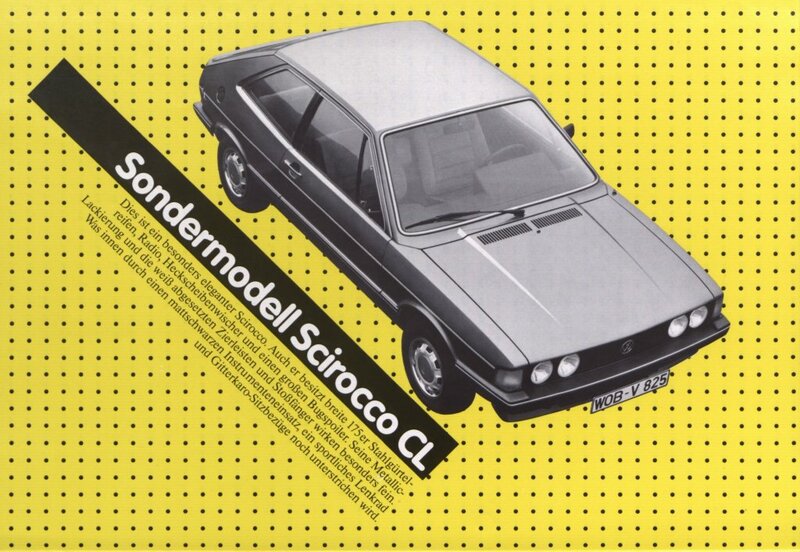 This was the trend at the time, the Scirocco SL received the same treatment in red. A very rare Inari silver Scirocco CL with aftermarket alloy wheels. 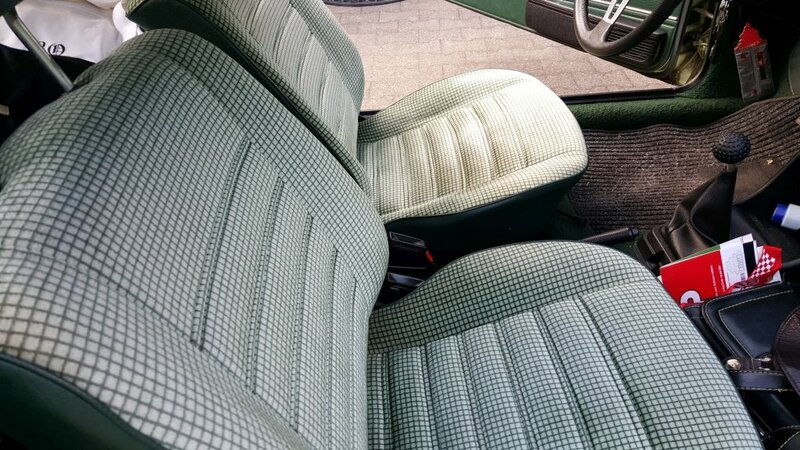 Inari Silver paint was teamed with ‘Gitterkaro’ green check trim (code WM). 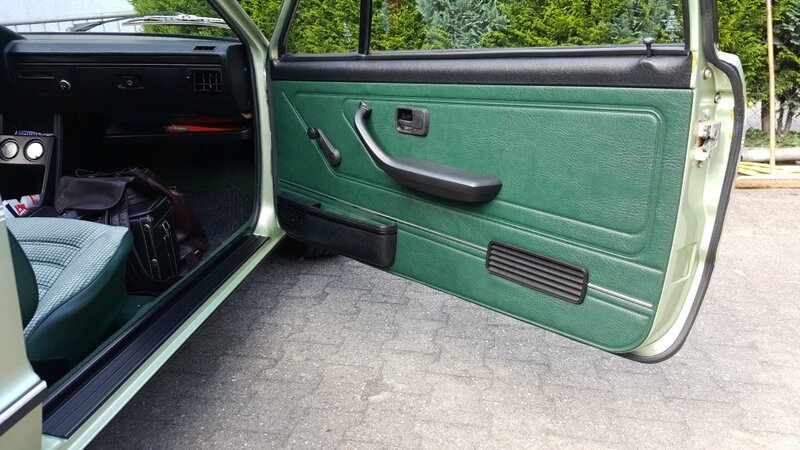 Green door cards with speaker/storage bin. Very many thanks to Michael Asal for help with this page.